Turn your grandmother's doilies (or your own) into functional containers! I used to crochet lots of doilies during movies, and quite a few didn't turn out perfectly. When I opened the container I use to store all my crochet, I decided to turn some of the messed-up ones into functional pieces. Take your plate and make a mixture using glue and water. You'll need equal parts glue and water, and there has to be enough to submerge your doily. Just eyeball how much you need to make, and put half that amount of glue and half that amount of water. Mix all of it up well with a finger or utensil. Submerge your doily in the mixture. Make sure that it absorbs the mixture pretty well. 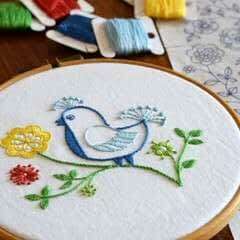 When you lift the soaked doily out, wring it out just a bit so that it doesn't drip. 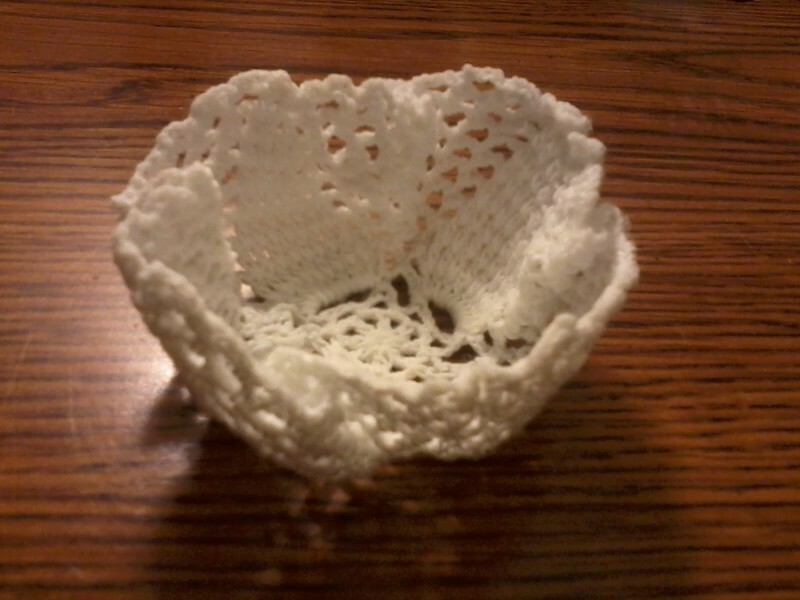 Put the doily in your cup and fold some places so that it fits nicely. 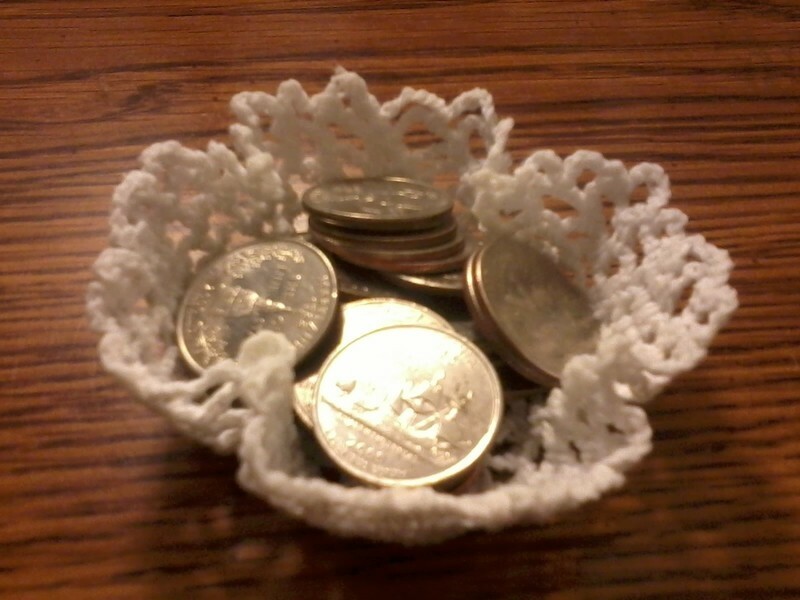 If you look at the picture, you can see the 4 places where I folded the doily. By the way, make sure your cup isn't paper; if t is, the doily with stick to it and will be hard to peel off. I suggest using a plastic or ceramic cup. Put the cup out to dry, and when the glue mixture solidifies, you'll have a lacy container to use!